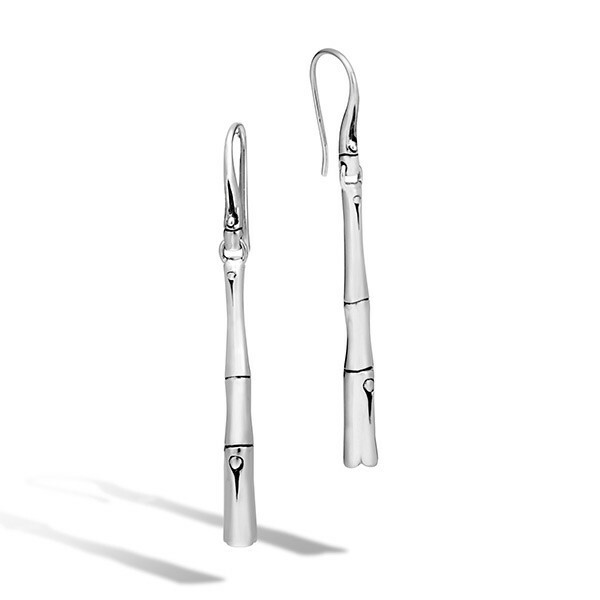 Simply tranquil, the Bamboo collection by John Hardy presents this pristine pair of drop earrings. Each bamboo stalk is carved from sterling silver and drops in singularity from a French wire. 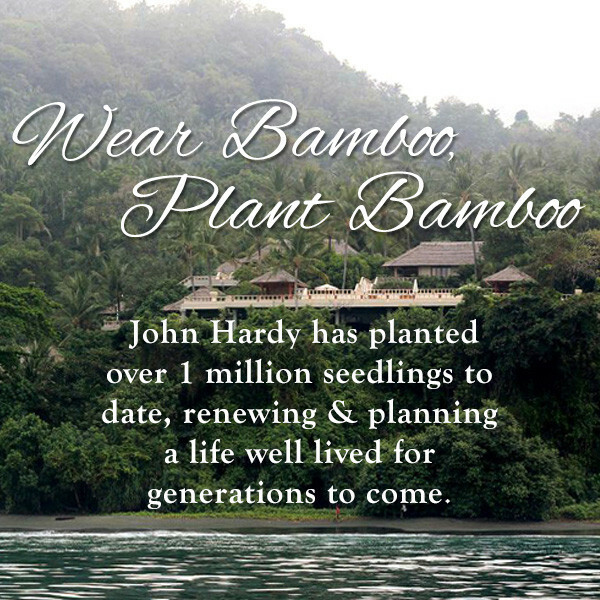 These John Hardy earrings add a touch of nature-inspired beauty to your look One bamboo seedling is planted with the purchase of this John Hardy piece.